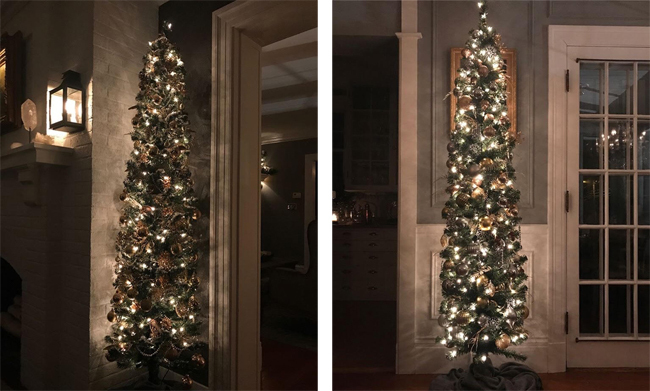 MARTHA MOMENTS: Martha Moments Readers Decorate for the Holidays! 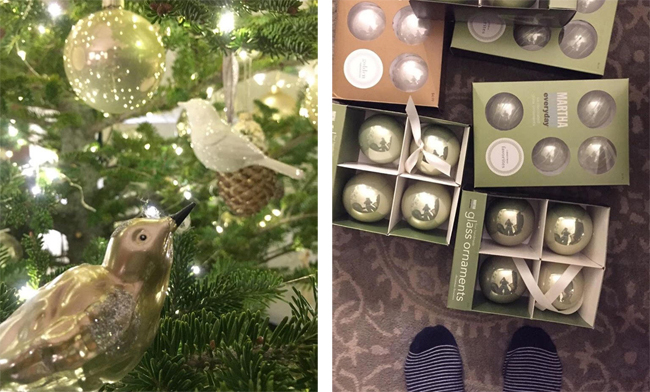 Martha Moments Readers Decorate for the Holidays! 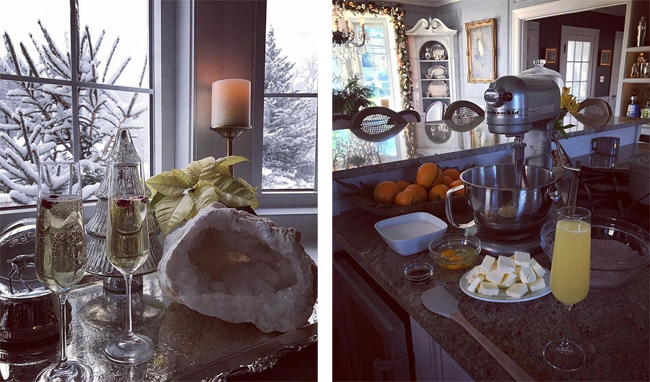 Each year I try to showcase at least some photographs of the beautiful holiday decorating and/or baking that so many readers of this blog participate in, and each year I'm always astounded by their creativity and skill! 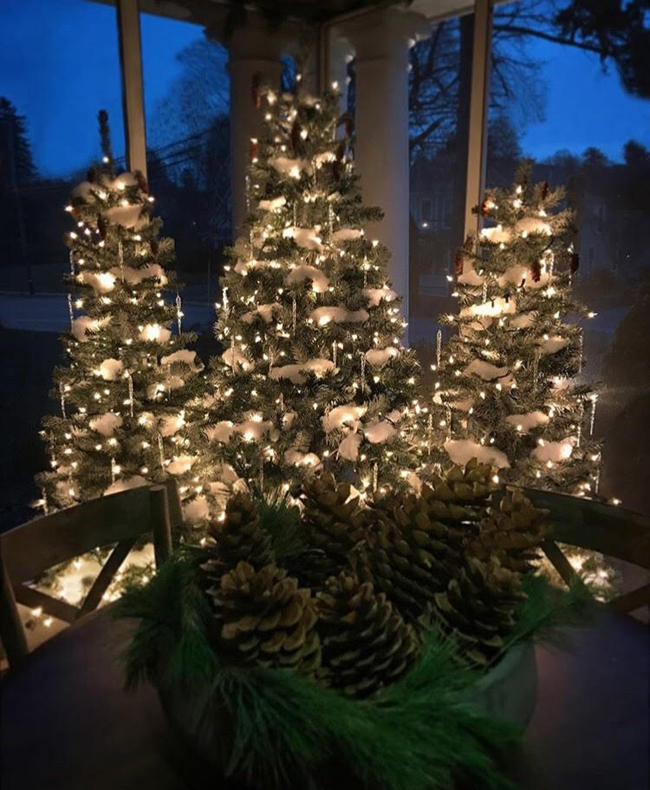 Below are some photos that members of the Martha Moments Facebook Group have shared on social media. Martha's influence is apparent in so many of them. Enjoy! 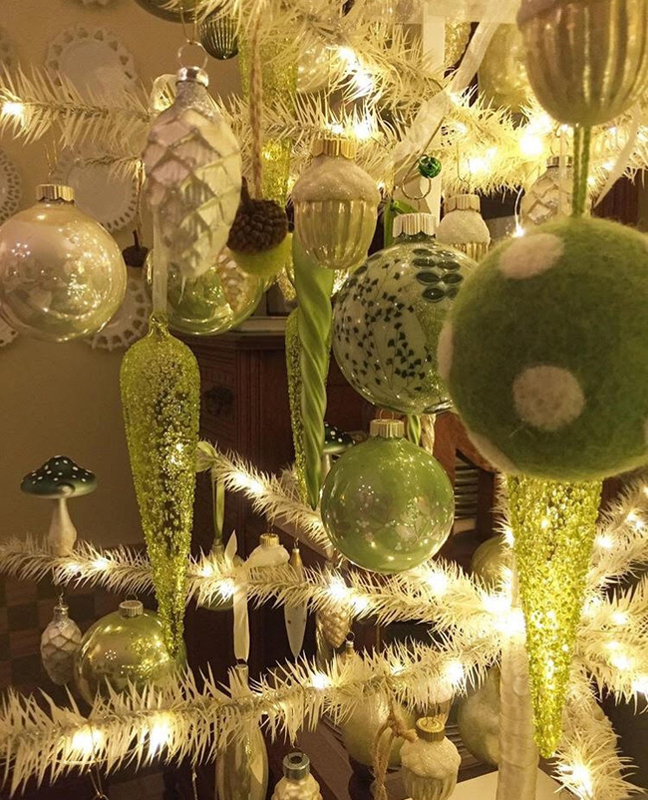 Bernie Wong has two white feather trees that he has decorated in a muted palette of green and silver. 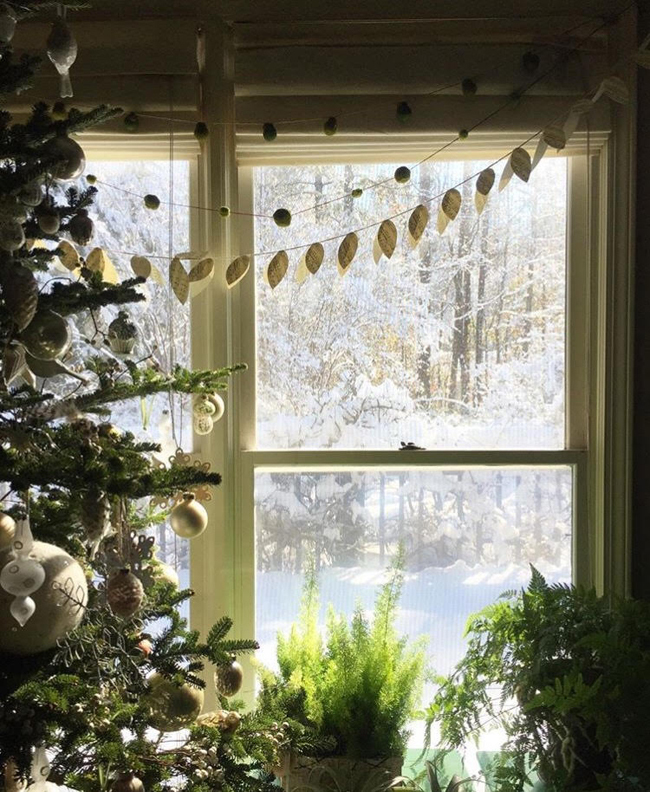 Even during the day, the ornaments catch the light beautifully. 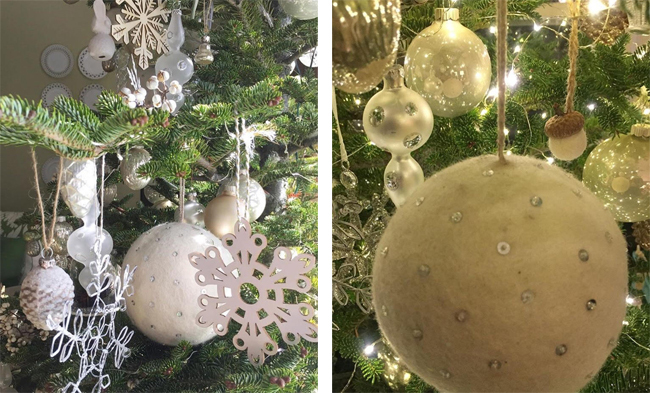 In another room, Bernie has a real evergreen that looks so festive in white, silver and gold ornaments. 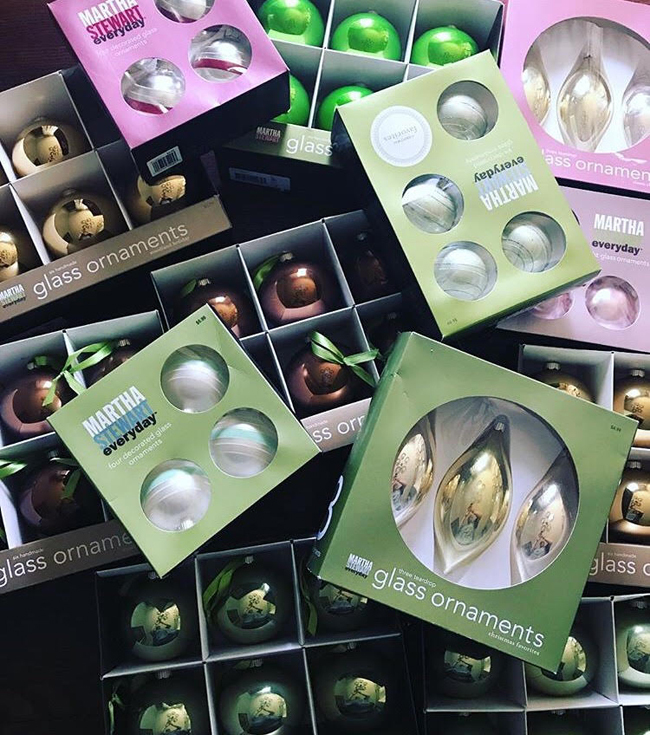 Some of Bernie's ornaments include an assortment from Martha Stewart Everyday, a brand that is now defunct but that was formerly available at K-Mart stores. Just this past weekend, Bernie's area received a large amount of snow - unusual for Georgia! I love how Bernie has decorated his front door. 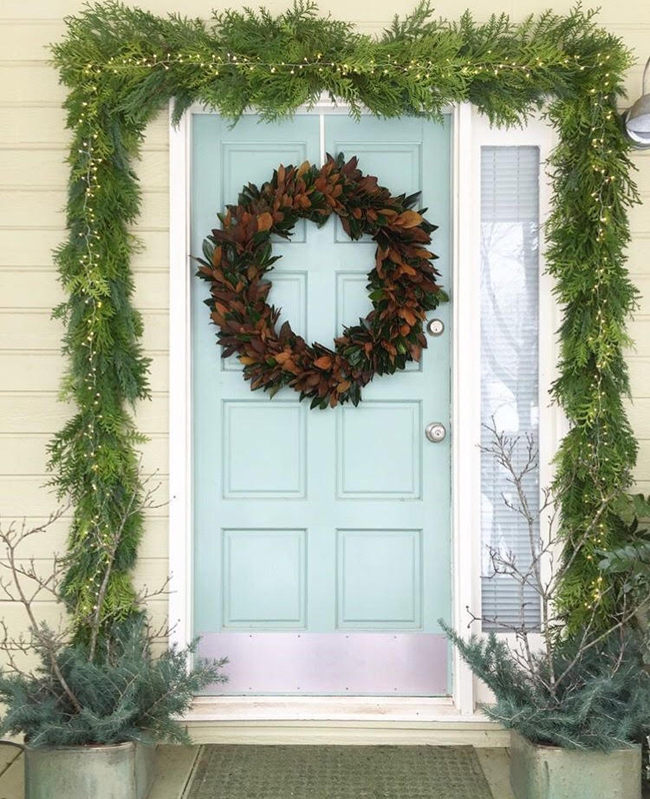 The magnolia wreath and the garland were handmade by Bernie, himself! 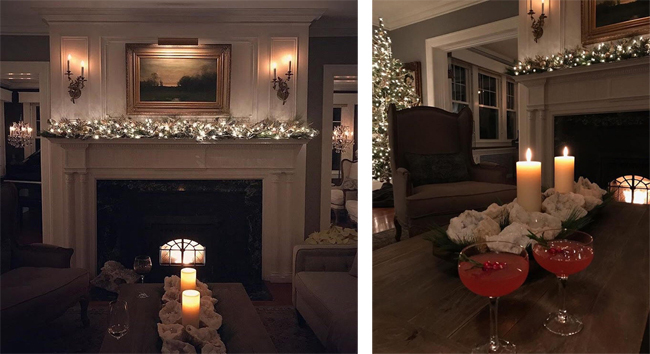 I've showcased Anthony Picozzi's holiday decorating in years past. I always find it inspiring! 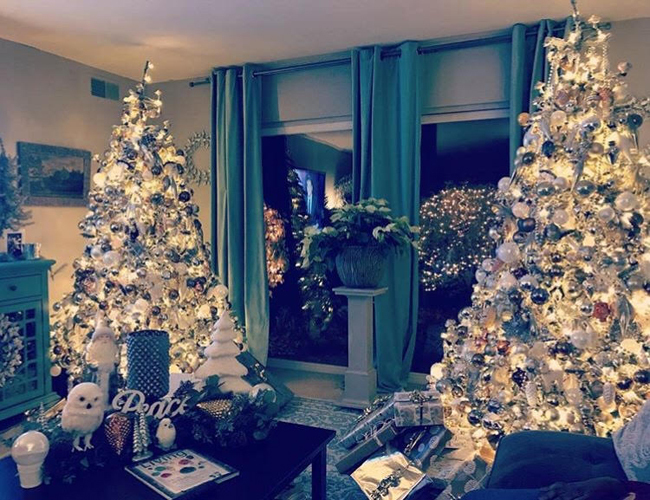 This is his living room, looking very warm and inviting. 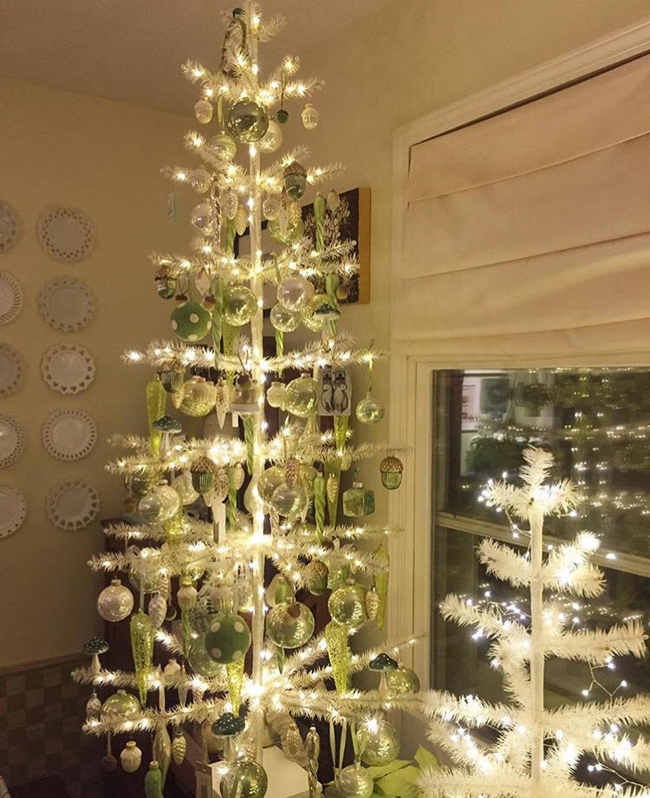 This is one of TEN trees that Anthony has set up in his home in Massachusetts. 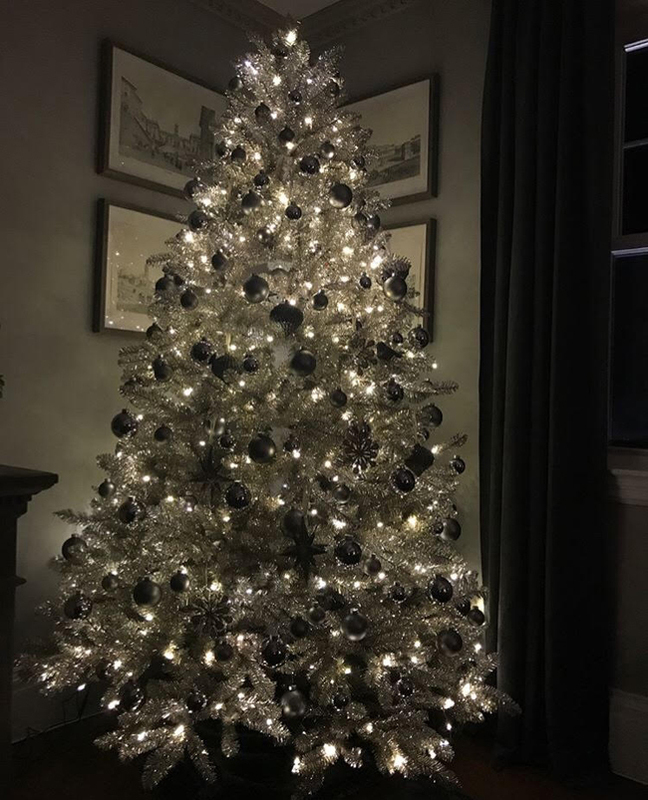 And another - a silver tree with black and silver ornaments! 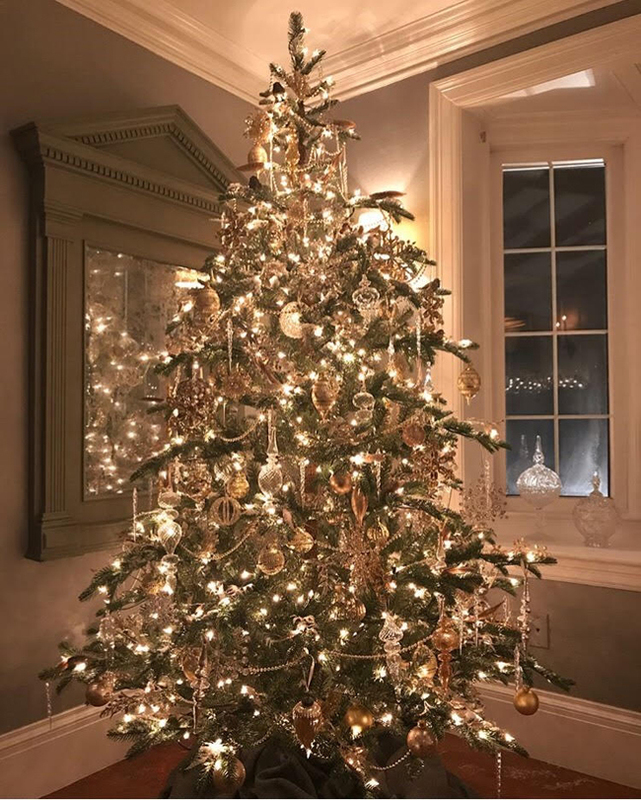 Anthony has four of these tall, narrow artificial trees that he places in tight corners and against narrow walls around his home: on either side of the fireplace and in the dining room. 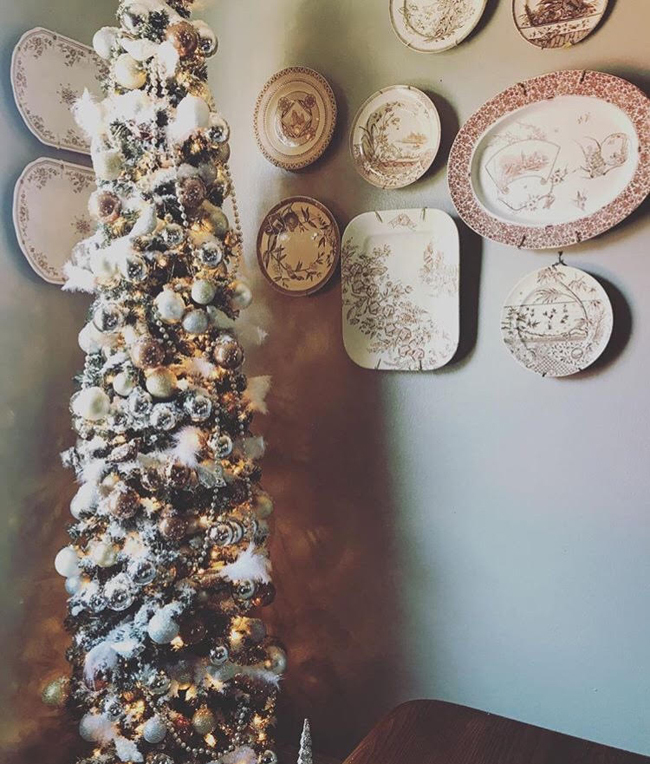 A cluster of three trees in his breakfast nook. 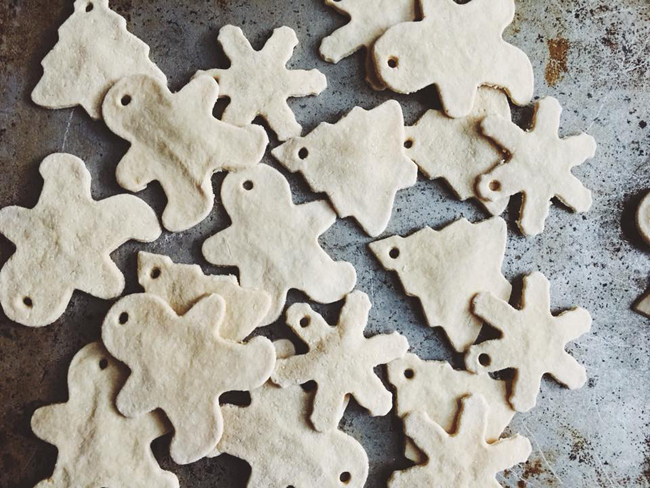 His kitchen is ready for holiday baking and entertaining. 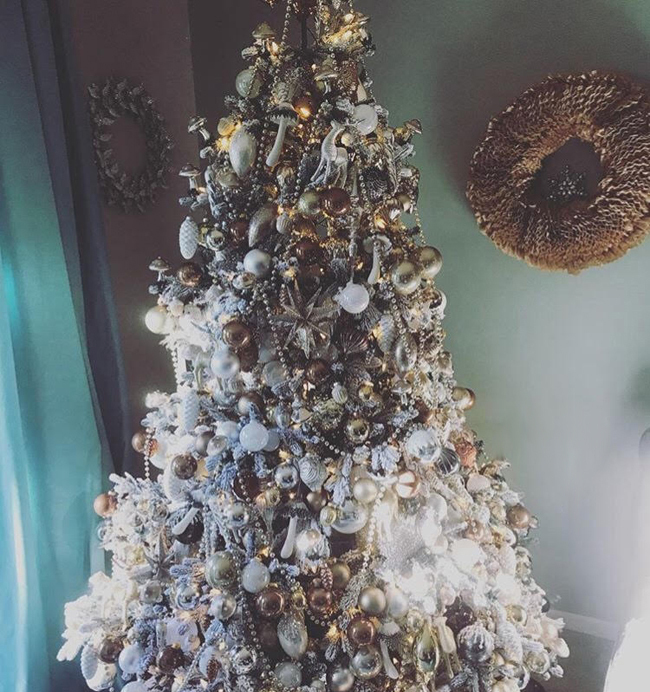 I love Jeremy Lambertson's tree, just dripping with decadent ornaments! It's one of a pair. 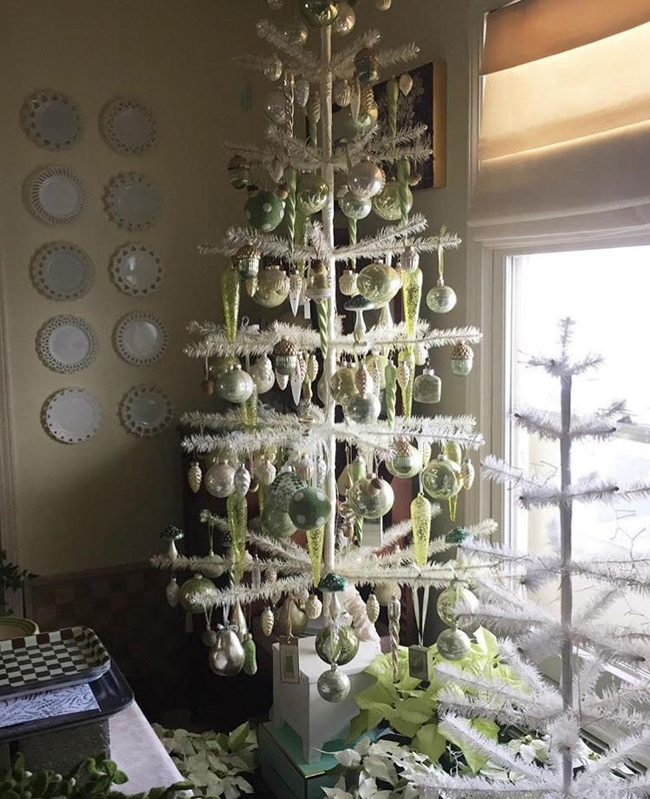 (Notice Martha's coffee-filter wreath hanging on the wall behind it). They look quite lovely together in his living room. 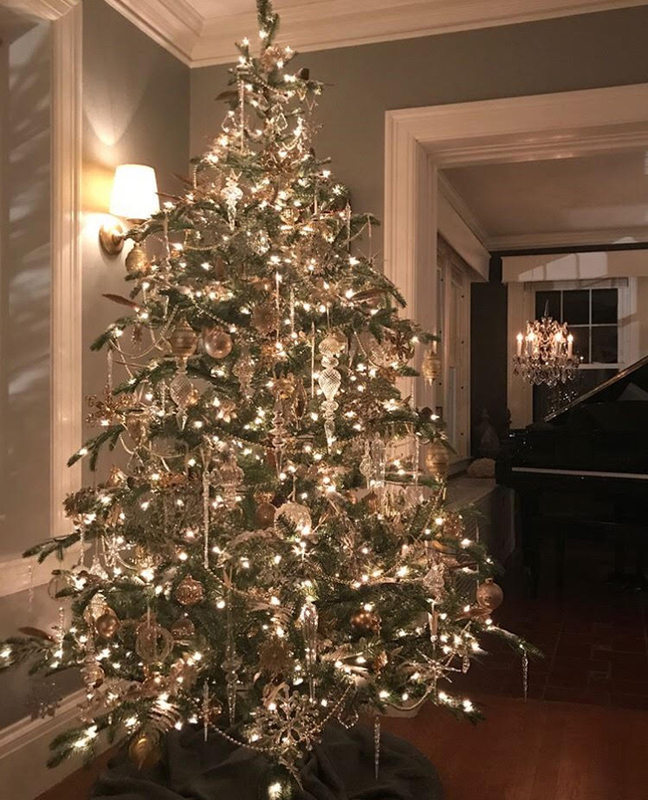 Jeremy, too, has erected numerous trees around his house this year. 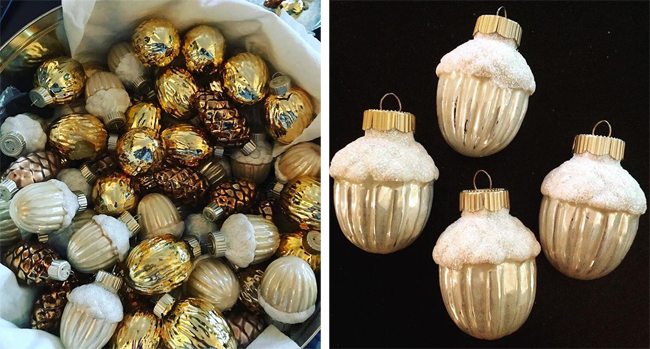 And, once again, many of the ornaments are from the Martha Stewart Everyday collection from K-Mart! Jeremy has quite a collection! 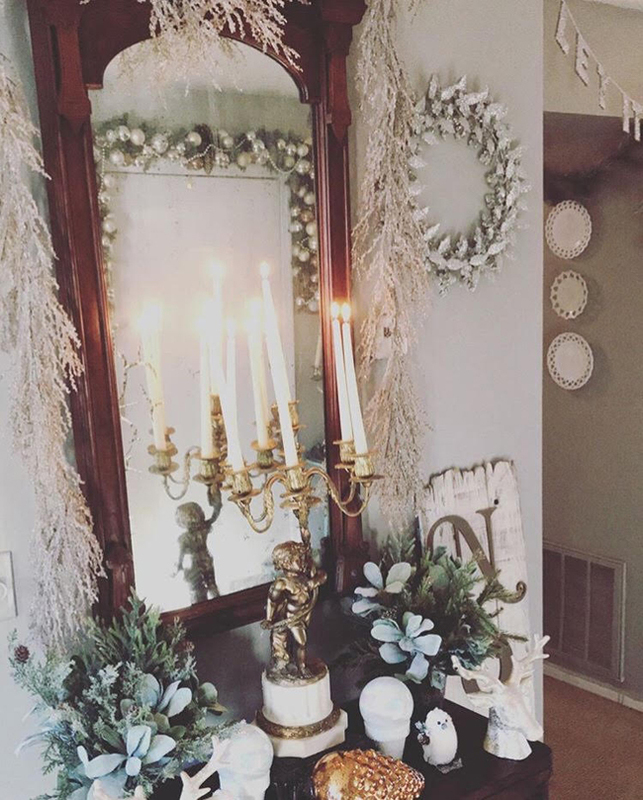 Another vignette in Jeremy's home. 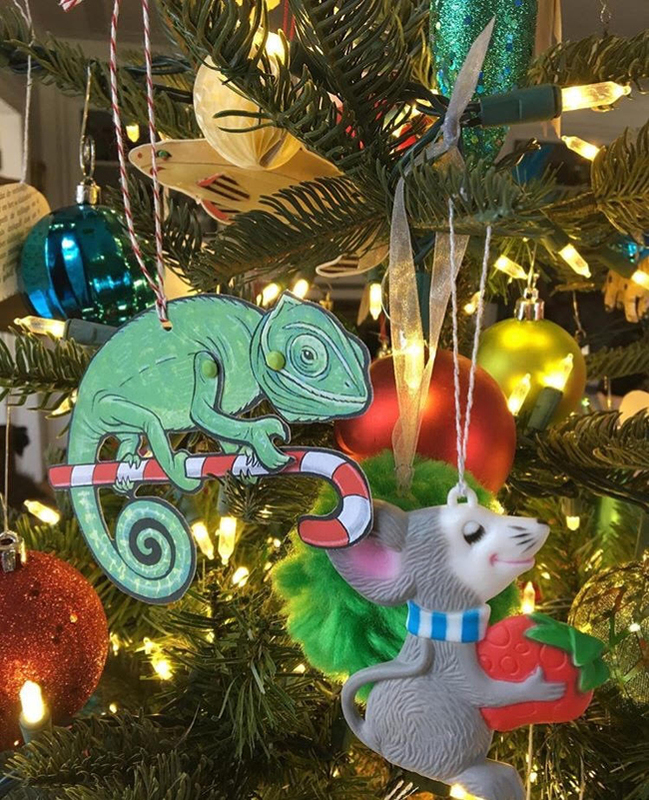 Mark Waldron's animal-theme tree is so charming! 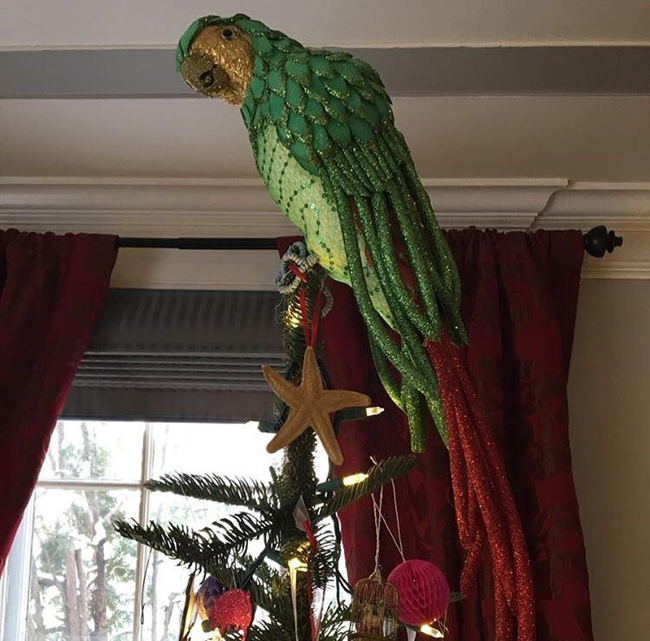 The perfect tree topper for this tree! 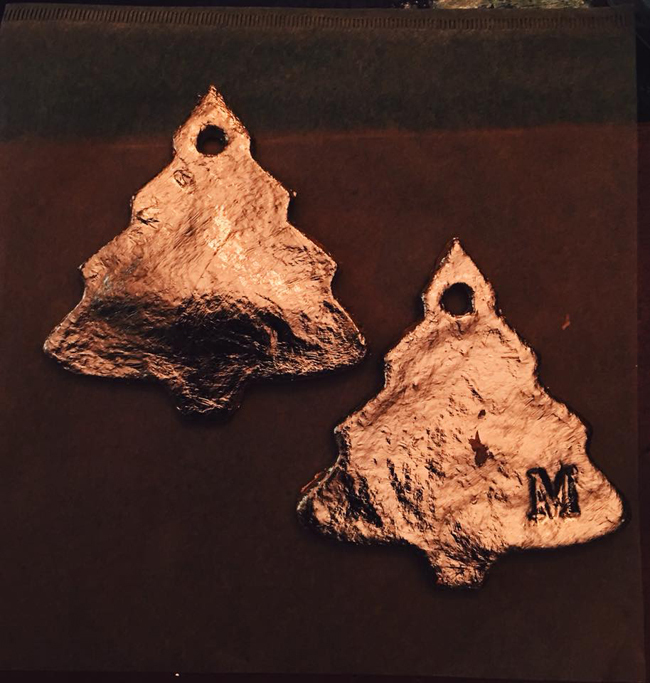 Matt Lara made Martha's copper-leaf cookie ornaments this year. 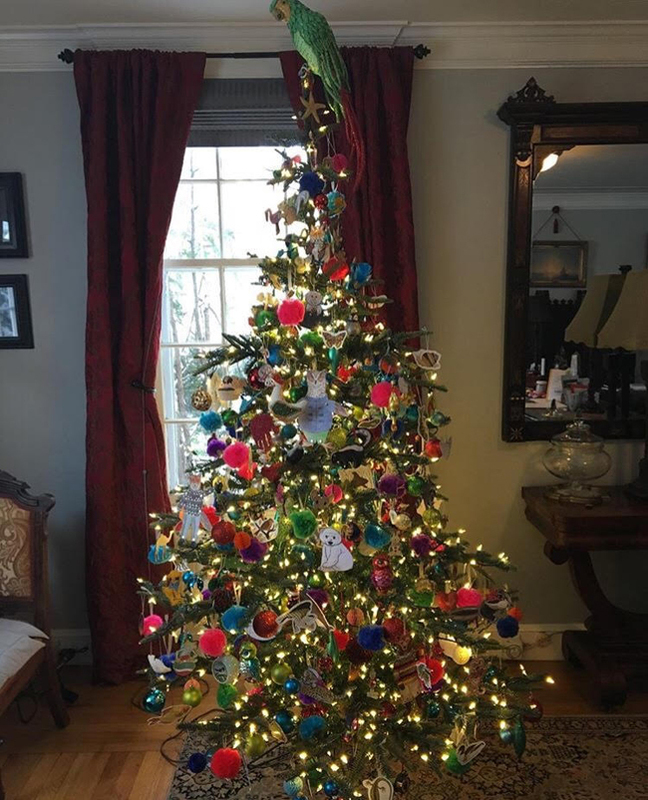 This is a project that was featured in her first Christmas book from 1989. 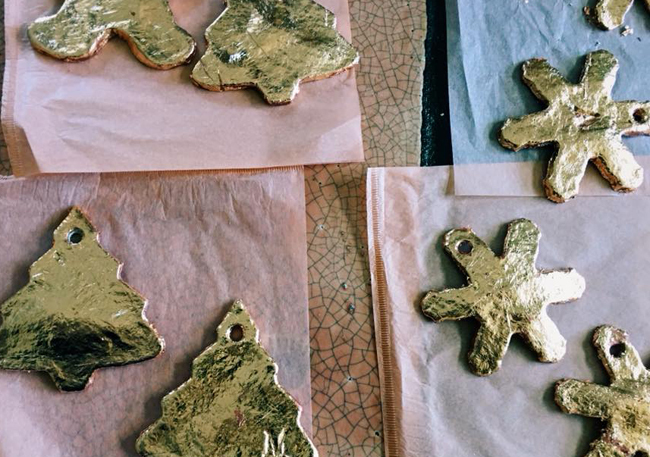 Once the copper leaf had been applied, Matt embossed some of the ornaments with monograms. So pretty! 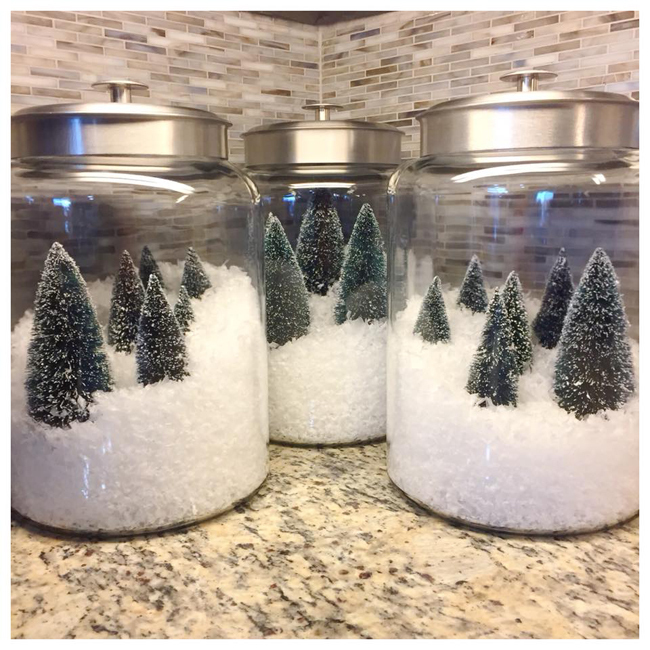 A cute detail in Julio Torrado's kitchen: glass canisters filled with artificial snow and miniature Christmas trees! It's a Good Thing! 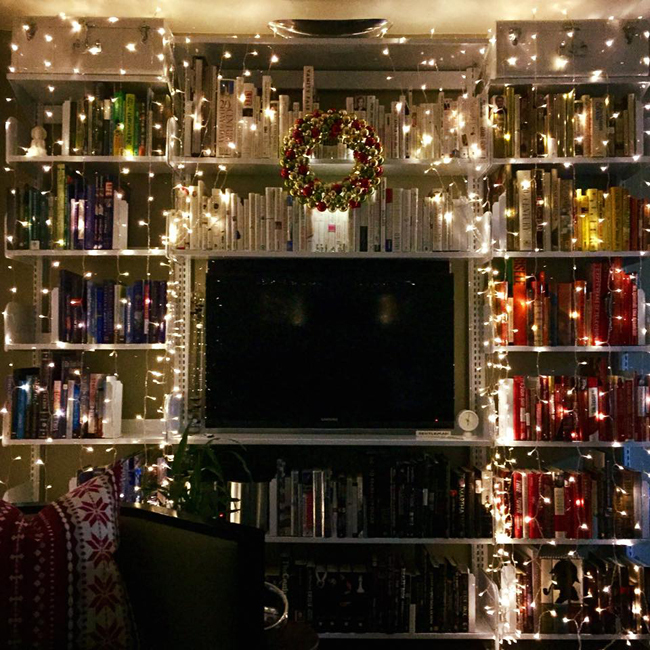 Julio bedecked and bedazzled his bookshelves with string lights. His inspiration was a Christmas party scene in Stanley Kubrick's "Eyes Wide Shut". 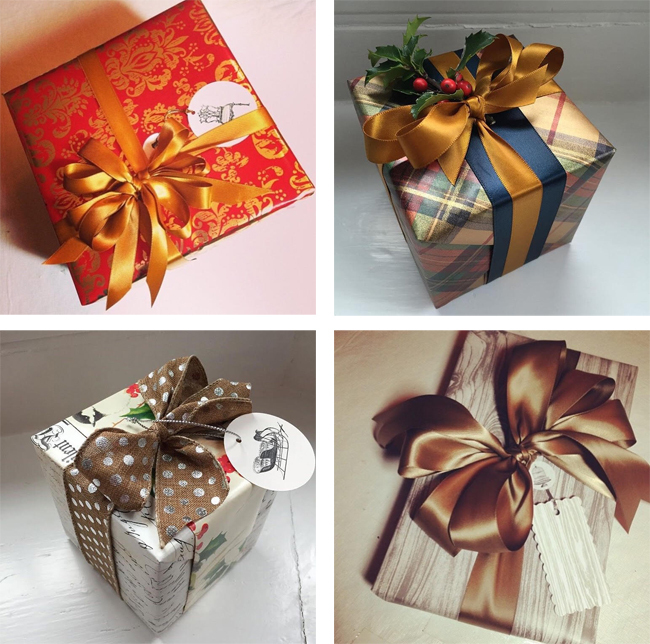 Thank you all for sharing and I hope you've enjoyed the gallery! 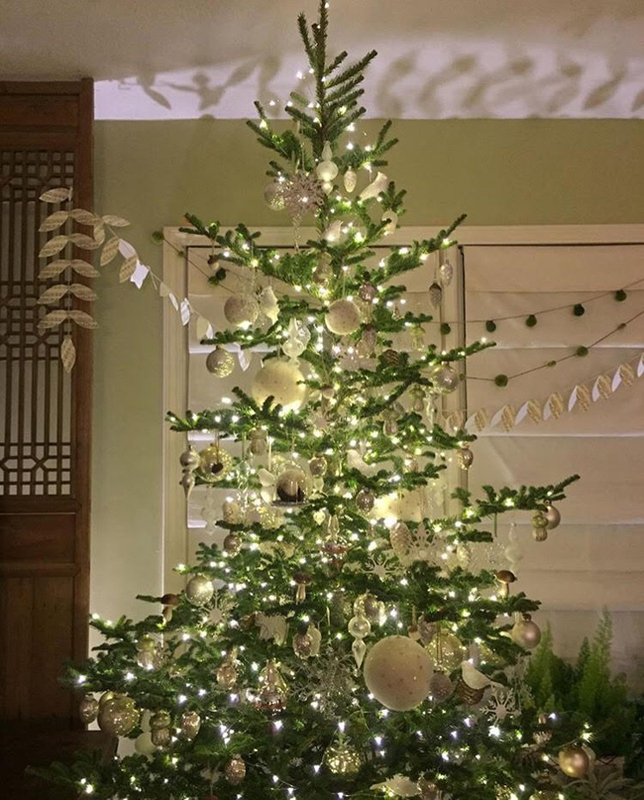 All are very talented with a lot of stamina (due to the numbers and details of trees) .....Martha would approve! One question........has Anthony Picozzi been out of his loft space ( shown in a previous years Christmas review) for a while, and was his current 'address' move in ready or did he renovate? Asking as both spaces seemed beautifully detailed.